As a knowledge institution that strives to offer innovative and relevant programs, BINUS BUSINESS SCHOOL regularly holds several events to meet this goal. And one of events that is regularly held is CEO Speaks; an event that presents CEOs or President Directors from various companies to share their knowledge and experience, as well as the practical application of them, to the audience. 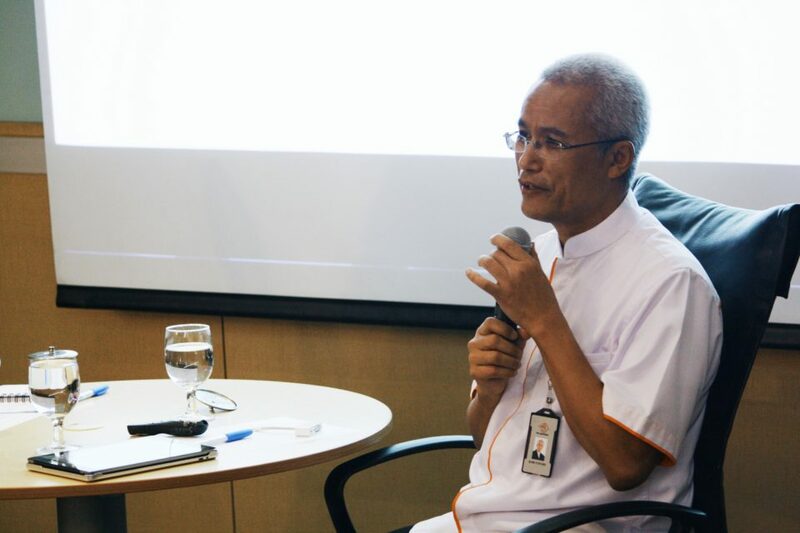 On Wednesday, April 5th, 2017, BINUS BUSINESS SCHOOL held the “CEO Speaks with PT Pos Indonesia” at BINUS JWC Campus, Senayan, Jakarta. 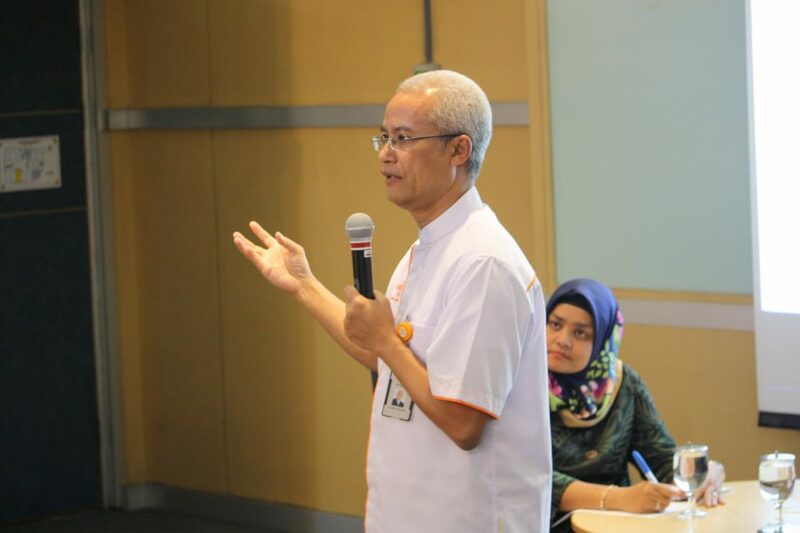 The speaker in this event was the CEO of PT Pos Indonesia (Persero) himself, Gilarsi Wahyu Setijono. 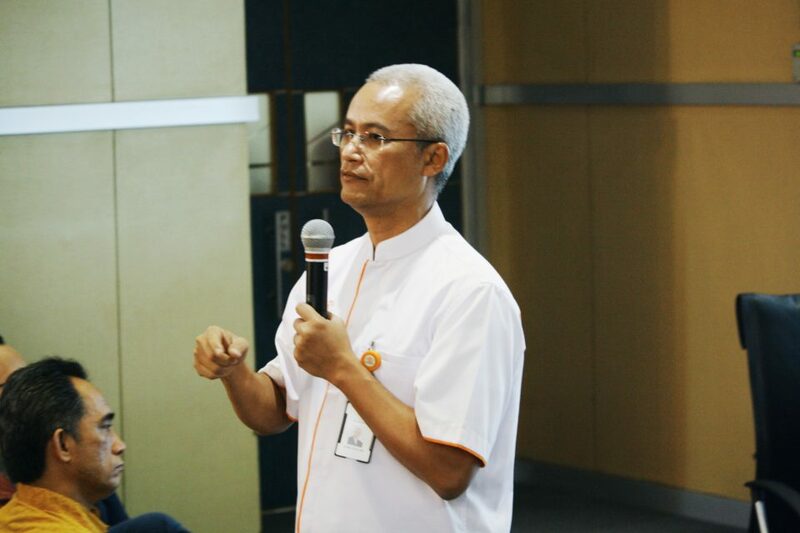 In this CEO Speaks, Gilarsi shared the topic “Digital Strategy on Urban E-commerce Logistics”. Gilarsi said that the logistics sector provides an essential function that enables the delivery of goods and services to the population and enables commerce, especially the urban segment, will face an enormous challenge to meet the expectations. However, logistic companies in Indonesia are still facing great challenges and problems. One of the most crucial problems in Indonesia is the ineffective and inefficient bureaucracy. “This problem makes the logistic cost in Indonesia become very high,” he explained. Another challenge is modernization and digitalization that are currently faced by every industry, including the logistics. Modernization and digitalization, according to Gilarsi, cause significant changes in people’s lifestyle. These factors, plus the emergence of great amount of new digital-based marketplace and logistic companies, change the habits in shopping, ordering, and even purchasing. As a well-established national logistic company, PT Pos Indonesia is also trying its best to stay relevant. Therefore, Gilarsi continued, PT Pos Indonesia needs a new digital strategy to face these challenges and also spread its wings to the e-commerce competition. He explained that the first thing that PT Pos Indonesia needs to do is identifying its core competence and leverage it. In this case, Gilarsi’s strategy as a CEO is strengthening the competitive advantage of PT Pos Indonesia – the couriers. Continuous changes and strategy improvement is a must if a company wants to survive in this disruptive, fast-moving, industry environment and facing the nearly unpredictable future. “The world you’ll be living in in the future is very different from today,” he concluded.